Bernard Madoff, chairman of Madoff Investment Securities, attempted to save himself and his firm just days before his arrest by convincing a friend to give him $250 million. Just before the feds arrested financial swindler Bernard Madoff, he received a massive influx of cash - $250 million - from one of his oldest friends as he attempted to save himself and his failing firm, according to the Wall Street Journal. Carl Shapiro, 95, an entrepreneur who The Journal described as "one of Mr. Madoff's oldest friends and biggest financial backers" gave the confessed schemer the $250 million around Dec. 1, about 10 days before Madoff was arrested and charged with masterminding a $50 billion Ponzi scheme. It's not clear if Shapiro, who lost roughly $400 million from the Madoff scam, gave his old pal the money as a loan or investment, but sources told The Journal that Madoff promised to pay back Schapiro quickly with interest. None of the money was paid back. Mr. Shapiro helped Mr. Madoff launch his investing career, in 1960 giving Mr. Madoff -- then 22 years old -- tens of thousands of dollars to invest. Mr. Madoff did well with the investments, and Mr. Shapiro invested more over time. The two became friends. They often ate lunch together at the Palm Beach Country Club. A defense lawyer for Madoff was expected to submit written arguments as soon as today to a judge who is probing whether the disgraced Wall Street financier should be jailed before trial. The judge said he wants to know whether the ability to commit economic harm can make someone like Madoff a danger to others. The businessman has been under house arrest at his Manhattan penthouse. Prosecutors have asked for Madoff's immediate jailing, arguing that he and his wife violated a court order by sending gifts to relatives and friends. 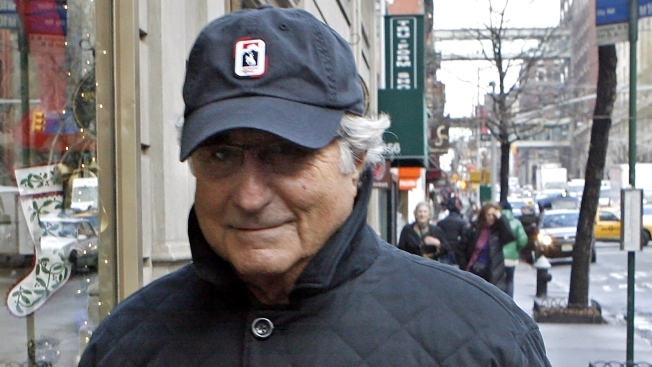 A defense lawyer says Madoff's wife sent the valuables. He says she was not subject to the court order. Prosecutors contend that Madoff sent the valuables to family and friends over the past week, with a note enclosed. Lawyers did not disclose what's in the note, but the implication was that Madoff might be trying to transfer funds that could later be used to pay restitution.